Yes yes, Friday’s are supposed to be date night. But tonight we had people over to play games so date night has been moved to Saturday. I baked fudgey chocolate brownies to share with our guests – hence “Fudgey Friday”. Now, I’ve made brownies before but I usually use tofu so this was a bit of an experiment, as I don’t have any tofu in! So I threw in some of the vanilla soy yogurt that I’ve got in the fridge and whatever other ingredients I could rustle up. I didn't quite have the ingredients I wanted but they turned out well, although VERY gooey - you definitely need a fork for these! The sourdough starter seems to be coming along well. I baked another loaf last night, which we tested for breakfast this morning. Other than the loaf getting a bit burnt (it rose higher than I’d anticipated and got too close to the element! ), it was a success! Good texture, great flavour, and less of a savoury taste than last time so we could use it for jam if we wanted to. I did leave this one to prove for longer though. I wanted to bake a loaf but didn’t have enough time to do it all in one night, so I made the dough and let it rise in the fridge overnight (maybe 8 hours?). I then shaped the dough and left that to prove in the fridge all day, until we got back from our meal (about 15 hours). Then I baked it and left it to cool overnight. I’m starting a three-week (one session a week) Bread Club next week and it’s all about sourdough! Hoping to pick up some tasty tips! Heat the oven to 180C. Grease and line a 20cm square baking tin. Melt the chocolate in a double boiler (or a small saucepan set over a larger saucepan containing boiling water). Stir until melted and smooth, then remove from the heat and set aside. Beat the butter and sugar in a large bowl until well combined. Add the soy yogurt and the plain flour and beat until smooth. Sift in the remaining flour and cocoa powder, then add the melted chocolate and stir to combine. Add the chopped nuts or chocolate chunks (or a mixture of both) and stir in. Spoon the mixture into the tin and smooth the surface with the back or a spoon or a spatula. Bake for 35 min or until the are crusted on top and soft in the middle. Leave to cool in the tin for 20 min, then cut into squares. Sprinkle with icing sugar if desired and serve. No photos today because we snaffled them! 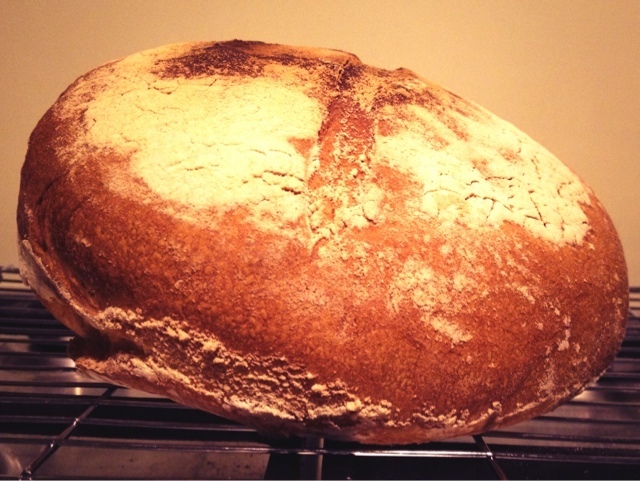 Your brownies sound amazing and your sourdough looks incredible, I wish I had a slice or two right now!